Discos en vinilo y CD de Bella Union. Review: In the aftermath of the Brexit vote the question on many people's minds is 'what's going to happen'...well an answer for some, at least, was a new BC Camplight album, fittingly named, Deportation Blues. Recording in Liverpool's Whitewood studios, Brian Christinzio is said to have locked himself in a windowless studio and recorded all songs almost exclusively in the dark. 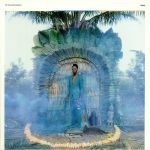 With title track Deportation Blues its most illuminating result, the album overall is a more electrified opus, musically speaking, than his previous long players How To Die In The North and Blink Of A Nihilist. Featuring Luke Barton on guitars and synth, alongside guitarist Tom Rothery and multi-instrumentalist/ backing singer Ali Bell, BC Camplight lights it up again. Review: It may be debatable whether B-sides still exist in the here and now, yet beneath the very slightly prosaic title of this compendium lurks the work of an outfit who - despite having essentially surfed along a very definitive wave of sun-dappled languour since their inception - are capable of delivering offcuts that are every bit the equal of most folks' hits. 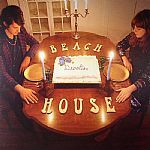 True, the Spinal Tap insult of 'the musical growth rate of this band cannot even be charted' could be applied to Beach House, but when their catalogue over the ten years of their existence esentially consists of a variety of themes on opiated bliss, we're only too happy to embark on the ride. Review: Perhaps LA's most well-loved postmodern troubadour, Joshua Tillman brings his third album as Father John Misty, a sprawling and theatrical epic polemic on just about all of our modern society. The quality of his writing here is far more complex and impressive, as heart-wrenching chord progressions and grandiose song structures keep the listener firmly in the palm of his hand. The album's title 'Pure Comedy' is the first stab of bitter irony here, as Tillman seems in a more serious and pensive mood than we became used to with tongue-in-cheek and self-assured previous albums 'Fear Fun' and 'I Love You, Honeybear'. That isn't to say that the album is totally humourless, but that Tillman uses it in smaller doses to antidote the cathartic and anxious emotion to far greater effect. 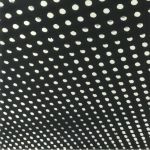 Review: There have been so many peculiar releases from Wayne Coyne and his merry men in the last few years that it comes as something of a relief to not only be confronted with their new album proper but to discover that it follows in the fearlessly experimental style that they embarked on with their last two trips to neverland. This ris testimony to a band still firmly intent on transcending the everyday with heartfelt emotion to spare. 'Oczy Mlody' may be sonically adventurous and otherworldly, yet like all of this band's finest works, its sense of wonder is more commonly down to melody and songcraft than sonic trickery or head-spinning psychedelia. Can I Sleep In Your Brain? Review: In a music landscape seemingly micro-managed and steeped in cliche to the point of inescapable blandess, the maverick spark of an artist like Ezra Furman is something to be valued very highly. His third album 'Perpetual Motion People' crams more ideas, energy, eccentricity and chutzpah into its thirteen tracks than most bands can dream of in a career. Wracked by self-doubt he may be, yet Furman here channels his angst, inspiration and flamboyant joie-de-vivre into a kaleidoscopic collection of exuberant ditties that sashay with blues-rock, jaunty punk-pop and acoustic introspection whilst maintaining a vibrant pull all Furman's own. The sound of a unique talent blossoming in rare style. Review: 'Transangelic Exodus' is Ezra Furman's rock 'n' roll concept opus following the pseudo-autobiographical story of Furman falling in love with a transangel and the two becoming outlaws on the run from the government and mysterious, intolerant and violent figures. Structurally and musically, every song feels like a new chapter as Furman explores a multitude of avenues, drawing strands of genres together to create something simultaneously strange and familiar. It's a stunningly well-formed and considered album, and Furman's storytelling makes for a visceral and thrilling ride, and this is perhaps his best work yet. In a time when values are changing so rapidly in favour of openness and acceptance, but intolerance still has societal footholds, albums that manage to be as joyously compelling, poetically written and acerbically counter-cultural in their message as 'Transangelic Exodus' feel more necessary and relevant than ever. Review: John Grant delivers a modern contemporary dose of synth pop in his Love Is Magic LP for Bella Union that was co-produced with Midlake's Paul Alexander. It provides the American with his fourth solo album, following 2015's Grey Tickles, Black Pressure, 2013's Pale Green Ghosts, and his 2010 debut Queen of Denmark. This LP, though, arguably provides a fresh thicket of neon-lit sounds that keep the irony palatable enough, "Diet Gum" perhaps the best example. For fans of the soundtrack to Drive, or Parisian duos Justice and Daft Punk, to the avant ballads of Laurie Anderson, Grant's pop kosmische here is a dazzling disco ball to be danced upon in your loudest colours and cackles of laughter.